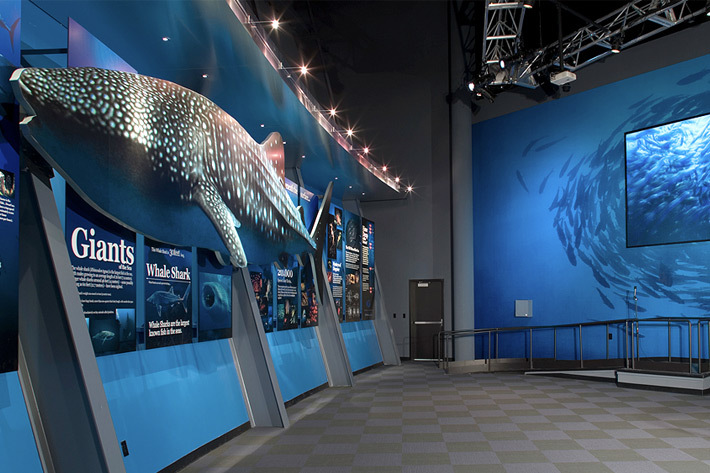 With a grand opening on November 23, 2005, Georgia Aquarium is a $230 million, 500,000 square-foot facility housing more than 100,000 animals in 8 million gallons of fresh and salt water. Located on 9 1/2 acres of land adjacent to Centennial Olympic Park in downtown Atlanta, the facility is currently the largest aquarium in the world. CDG consulted with program manager Heery International and concept designer Gary Goddard Enterprises to design and program specialty lighting for the 4-D theatre show, lantern wall, plaza and ballroom ceiling. Architectural lighting design was provided by Quentin Thomas and Exhibit Lighting was provided by Fisher Marantz Stone & Associates. 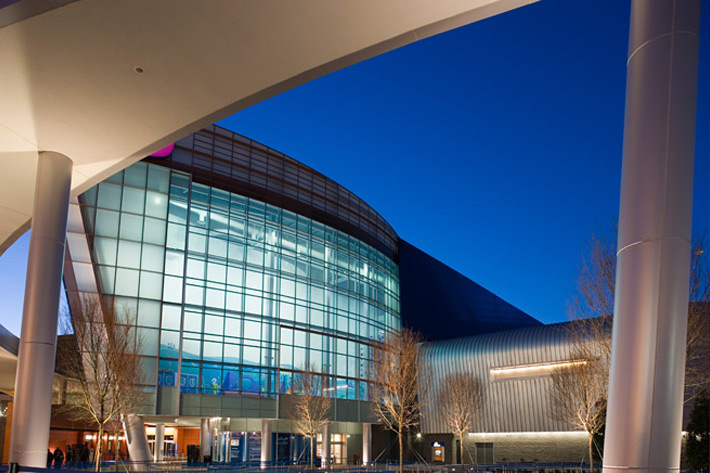 The project was awarded a 2007 Lumen East award for the Exhibit lighting and a 2007 IIDA Award of Merit in Lighting Design. CDG collaborated with lead A/V contractor, Electrosonic, to develop a sophisticated controls system that integrates lighting, audio and video throughout the areas in our scope.